The MultiDocker CH1100F is built to give you the highest production with the lowest ownership and operating cost in its class. With a powerful, reliable and efficient C15 ACERT engine and with hydraulics featuring the new Adaptive Control System (ACS) which better matches hydraulic response to joystick movement, you can move tons of material all day, every day, with precision and efficiency. 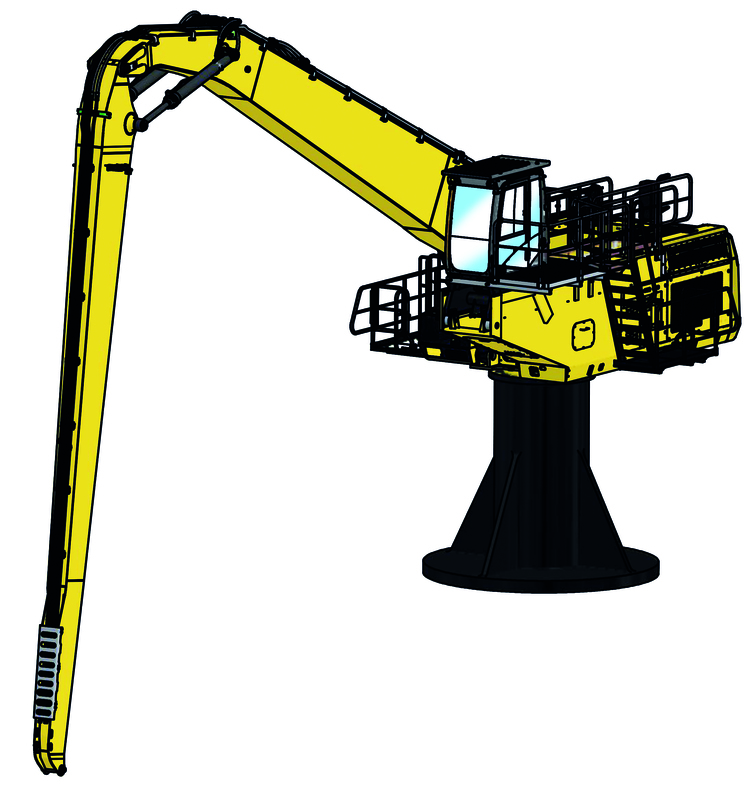 The CH1100F is based on the proven CAT 374F MH, augmented by MultiDocker’s innovative solutions for the world’s most challenging material handling jobs. Since it’s based on Caterpillar components, you get the world-class reliability and service support you count on. 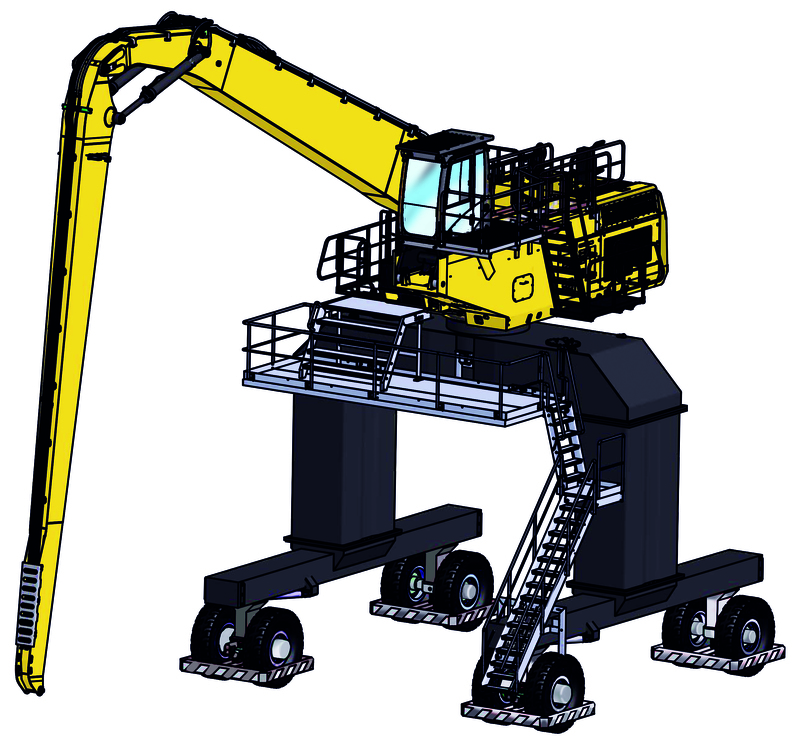 And with a reach of up to 81′ and a lift capacity of up to 19.5 Tons, no job is too big. 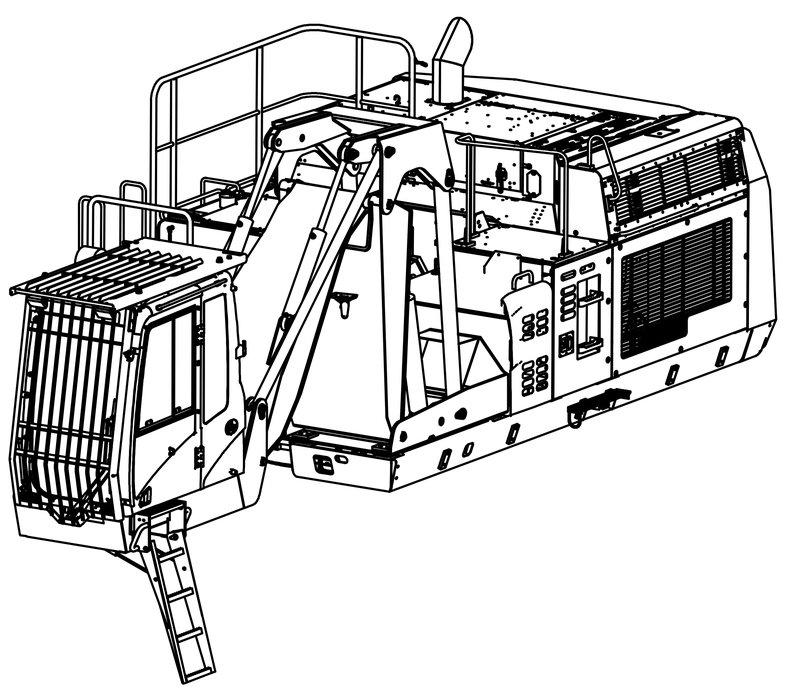 The CH1100F can handle any kind of operation: scrap metal, pulp logs, sawn wood, timber, chips, pellets, bags, aggregates, and most kinds of bulk and general cargo. Boom and stick: 4 combinations available from 70′ to 81′ reach. Integrated pipes. The boom and stick are designed for multi purpose use and can easily handle most different kind of cargoes. 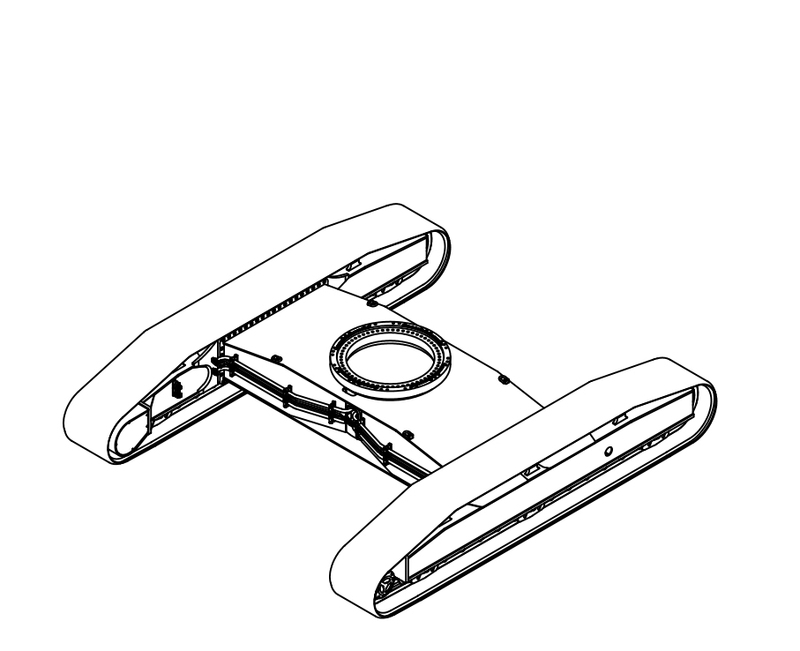 As an option we can offer a quick release coupling making the change between different work tools convenient and quick. – MG7800C gantry style undercarriage allows trucks and railway cars to pass under, saving space and increasing efficiency by shortening swing cycles. – Optional “Port Line” cabin setup for CM and CF cabin solutions, with larger interior, panoramic views, training seat, floor windows and more. Safety cameras: 1 no. 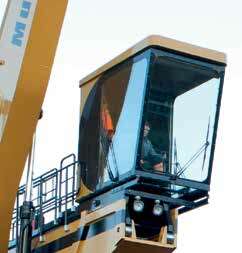 Caterpillar rear view camera, mounted on the counter weight integrated with the main monitor in the cabin. – Optional stick-mounted camera and 7″ color monitor. Warranty: MultiDocker CH1100F is delivered with a 12 month or 2 000 running hours’ warranty, whichever occurs first, to cover defects in materials or workmanship. Other options available. 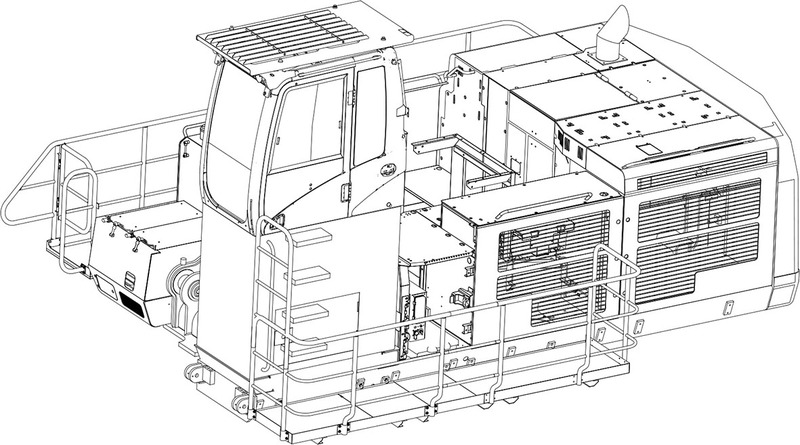 The Port Line Cabin is an option for the CM and CF cabin solutions, and features a larger interior for increased comfort. 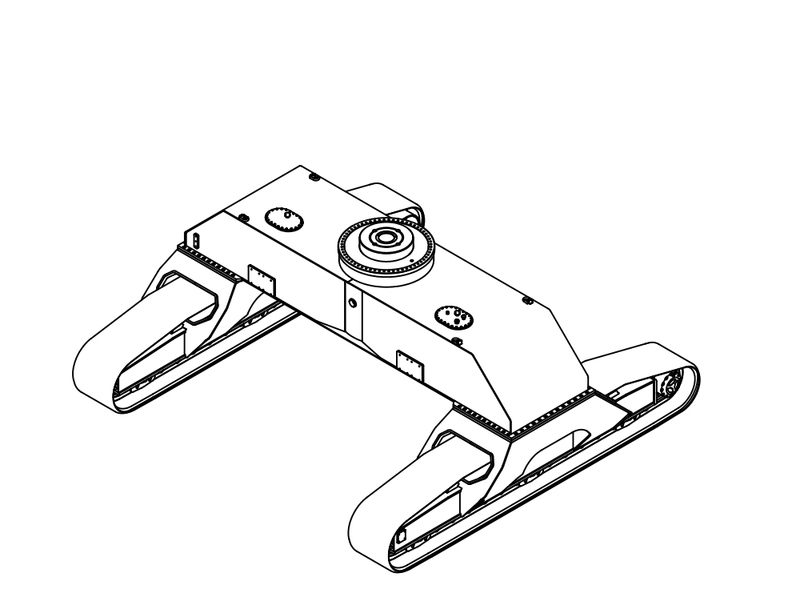 A mid-range height undercarriage configuration. Tall enough for railway cars to pass under, saving space. movement, and reducing swing cycles. Tall enough for trucks or railway cars to pass under, saving space. movement, and reducing swing cycles. 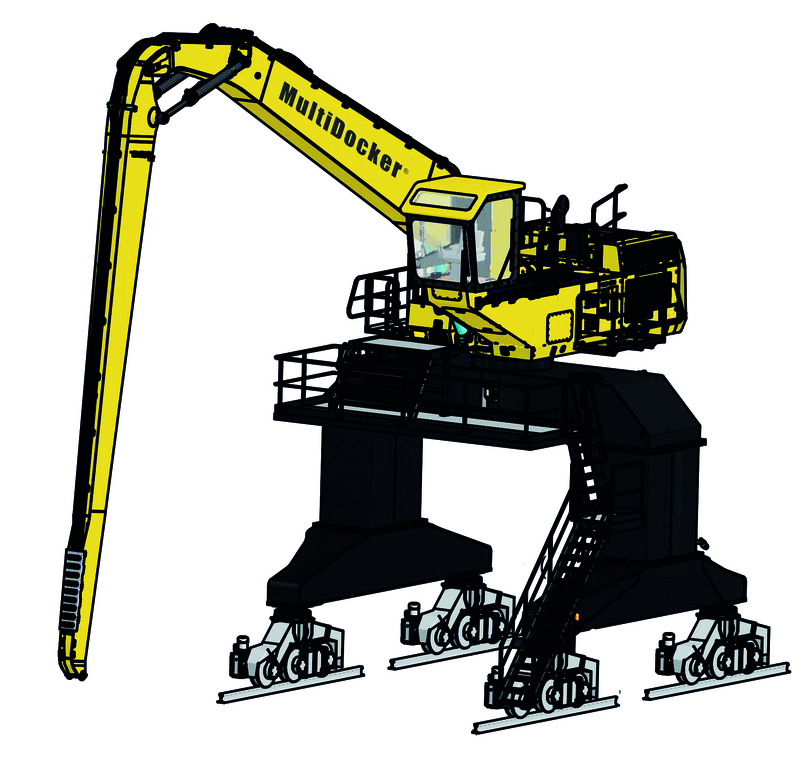 Depending on the customer’s needs, the MultiDocker CH1100 can be delivered in various standard undercarriage configurations with crawler tracks. 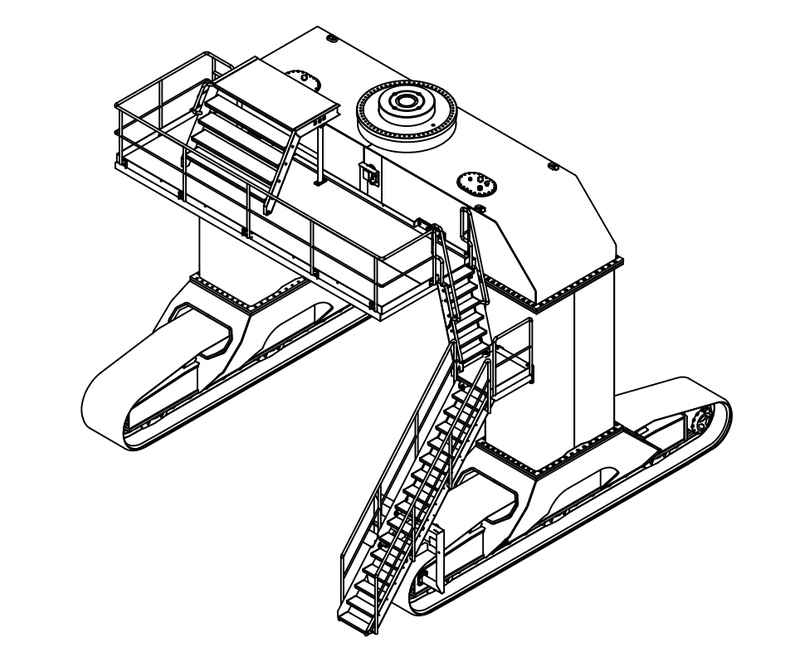 Other options are the rail track fitted gantry undercarriage or pedestal. 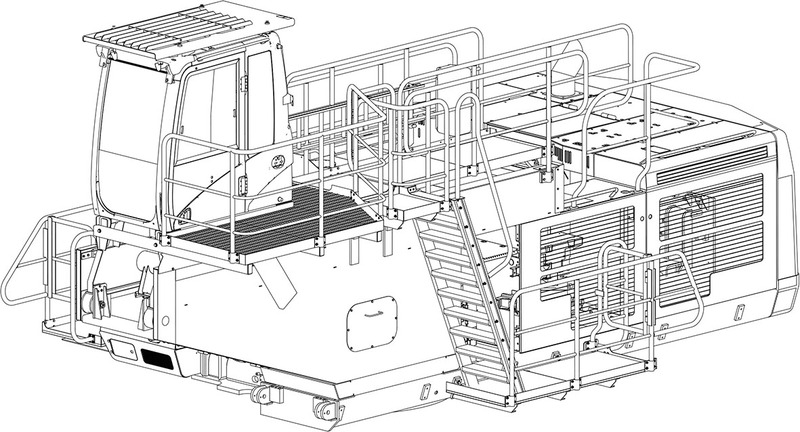 It’s also possible to have the cargo handler installed onboard a vessel or a barge.